From the time man started believing in God, they have been in touch with topics such as God’s work, God’s disposition, and God Himself. When it comes to God’s work, some people will say: “God’s work is done on us; we experience it every day, so we are not unfamiliar with it.” Speaking of God’s disposition, some people will say: “God’s disposition is a topic we study, explore, and focus on our entire lives, so we should be familiar with it.” As for God Himself, some people will say: “God Himself is who we follow, who we have faith in, and the One we pursue, so we are also not uninformed about Him.” God has never stopped His work since creation, throughout which He has continued to express His disposition and used various ways to express His word. At the same time, He has never stopped expressing Himself and His essence to mankind, expressing His will toward man and what He requires from man. So from a literal perspective, these topics should not be foreign to anyone. For people who follow God today, however, God’s work, God’s disposition, and God Himself are actually all very unknown to them. Why is that the case? As man experiences God’s work, they are also coming into contact with God, making them feel as though they understand God’s disposition or know a part of what it is like. Accordingly, man does not think he is a stranger to God’s work or God’s disposition. Rather, man thinks he is very familiar with God and understands a lot about God. But based on the current situation, many people’s understanding of God is restricted to what they’ve read in books, limited to the scope of personal experiences, restrained by their imaginations, and above all, confined to facts they can see with their own eyes. All of this is very far off from the true God Himself. So just how far is this “far”? Perhaps man is not sure himself, or perhaps man has a bit of a sense, a bit of an inkling—but when it comes to God Himself, man’s understanding of Him is much too far off from the essence of the true God Himself. This is why we necessarily have to use a topic like “God’s Work, God’s Disposition, and God Himself” to systematically and specifically communicate this information. In fact, God’s disposition is open to everyone and is not hidden, because God has never consciously avoided any person and has never consciously sought to conceal Himself so that people will not be able to know Him or understand Him. God’s disposition has always been open and has always been facing each person in a frank manner. During God’s management, God does His work, facing everyone; and His work is done on every single person. As He does this work, He is continuously revealing His disposition, continuously using His essence and what He has and is to guide and provide for each single person. In every age and on every stage, regardless of whether the circumstances are good or bad, God’s disposition is always open to each individual, and His possessions and being are always open to each individual, in the same way that His life is constantly and unceasingly providing for mankind and supporting mankind. Despite all of this, God’s disposition remains hidden to some. Why is that so? It is because even though these people live within God’s work and follow God, they have never sought to understand God or wanted to get to know God, let alone get closer to God. For these people, understanding God’s disposition means their end is coming; it means they are about to be judged and convicted by God’s disposition. Therefore, these people have never desired to understand God or His disposition, and don’t covet a deeper understanding or knowledge of God’s will. They don’t intend to comprehend God’s will through conscious cooperation—they just forever enjoy and never tire of doing the things they want to do; believe in the God they want to believe in; believe in the God that exists only in their imaginations, the God that exists only in their conceptions; and believe in a God that cannot be separated from them in their daily lives. When it comes to the true God Himself, they are completely dismissive, with no desire to understand Him, to pay heed to Him, and have even less intention of growing closer to Him. They are only using the words God expresses to gloss over themselves, to package themselves. For them, that already makes them successful believers and people with faith in God inside their hearts. In their hearts, they are guided by their imaginations, their conceptions, and even their personal definitions of God. The true God Himself, on the other hand, has absolutely nothing to do with them. Because once they understand the true God Himself, understand God’s true disposition, and understand what God has and is, this means that their actions, their faith, and their pursuits will be condemned. That is why they are not willing to understand God’s essence, and why they are reluctant and unwilling to actively seek or pray to better understand God, better know God’s will, and better understand God’s disposition. They would rather God be something made up, hollow and elusive. They would rather God be someone who is exactly as they have imagined Him, someone who can be at their beck and call, inexhaustible in supply and always available. When they want to enjoy God’s grace, they ask God to be that grace. When they need God’s blessing, they ask God to be that blessing. When they are faced with adversity, they ask God to embolden them, to be their safety net. These people’s knowledge of God is stuck within the ambit of grace and blessing. Their understanding of God’s work, God’s disposition, and God is also restricted to their imaginations and merely letters and doctrines. But there are some people who are eager to understand God’s disposition, want to genuinely see God Himself, and truly understand God’s disposition and what He has and is. These people are in pursuit of the reality of truth and God’s salvation, and seek to receive God’s conquest, salvation, and perfection. These people use their hearts to read God’s word, use their hearts to appreciate every situation and every person, happening, or thing God has arranged for them, and pray and seek with sincerity. What they want most is to know God’s will and to understand God’s true disposition and essence. This is so they will no longer offend God, and through their experiences, will be able to see more of God’s loveliness and His true side. It is also so that a genuinely real God will exist inside their hearts, and so that God will have a place in their hearts, such that they will no longer be living among imaginations, conceptions, or elusiveness. For these people, the reason they have a pressing desire to understand God’s disposition and His essence is because God’s disposition and essence are things mankind could need at any moment in their experiences, things that supply life throughout their lifetimes. 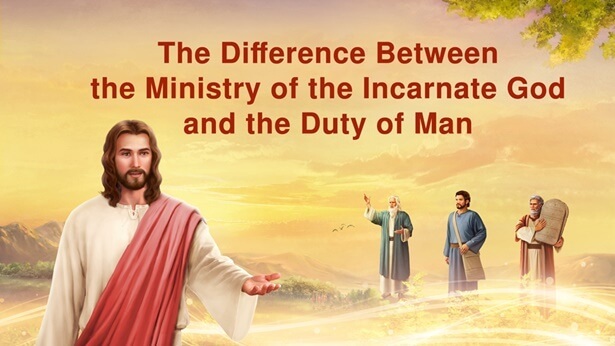 Once they understand God’s disposition, they will be able to better revere God, better cooperate with God’s work, and be more considerate toward God’s will and do their duty to the best of their abilities. These are the two types of people when it comes to their attitudes toward God’s disposition. The first don’t want to understand God’s disposition. Even though they say they want to understand God’s disposition, get to know God Himself, see what God has and is, and genuinely appreciate God’s will, deep down inside they would rather that God does not exist. It is because this type of people consistently disobey and resist God; they fight God for position in their own hearts and often suspect or even deny God’s existence. They don’t want to let God’s disposition or let the real God Himself occupy their hearts. They only want to satisfy their own desires, imaginations, and ambitions. So, these people may believe in God, follow God, and can also give up their families and jobs for Him, but they don’t put an end to their evil ways. Some even steal or squander offerings, or curse God in private, while others might use their positions to repeatedly testify about themselves, aggrandize themselves, and compete with God for people and status. They use various methods and measures to make people worship them, constantly trying to win people over and control them. Some even intentionally mislead people into thinking that they are God so they can be treated like God. They would never tell people they have been corrupted, that they are also corrupt and arrogant, and not to worship them, and that no matter how well they do, it is all due to God’s exaltation and what they ought to be doing anyway. Why don’t they say these things? Because they are deeply afraid of losing their place in people’s hearts. This is why such people never exalt God and never bear witness to God, as they have never tried to understand God. Can they know God without understanding Him? Impossible! Thus, while the words in the topic “God’s Work, God’s Disposition, and God Himself” may be simple, their meaning is different to everyone. For someone who often disobeys God, resists God, and is hostile toward God, it means condemnation; whereas for someone who pursues the reality of the truth and often comes before God to seek God’s will, it is undoubtedly like a fish to water. So among you, when some hear talk of God’s disposition and God’s work, they start to get a headache, their hearts grow full of resistance, and they become extremely uncomfortable. But there are others among you who think: This topic is exactly what I need, because this topic is so beneficial to me. It’s a part that cannot be missing in my life experience; it is the crux of the crux, the foundation of faith in God, and something mankind cannot afford to abandon. For all of you, this topic might seem both near and far, unknown yet familiar. But no matter what, this is a topic that everyone must listen to, must know, and must understand. No matter how you deal with it, no matter how you look upon it or how you receive it, the importance of this topic cannot be ignored. God has been doing His work since creating mankind. At the start, the work was very simple, but even so, it still contained expressions of God’s essence and disposition. While God’s work has now been elevated, with Him putting an enormous amount of concrete work into every person who follows Him and expressing a significant amount of His word, from the beginning until now, God’s person has been hidden from mankind. Although He has been incarnated twice, from the time of the biblical accounts to modern days, who has ever seen God’s real person? Based on your understanding, has anyone ever seen God’s real person? No. No one has seen God’s real person, meaning no one has ever seen God’s true self. This is something everybody is in consensus with. That is to say, God’s real person, or God’s Spirit, is concealed from all of humanity, including Adam and Eve, whom He created, and including the righteous Job, whom He had accepted. Even they did not see God’s real person. But why does God knowingly mask His real person? Some people say: “God’s afraid of scaring people.” Others say: “God hides His real person because man is too small and God is too big; humans are not allowed to see Him, or else they will die.” There are also those who say: “God is busy managing His work every day, He might not have the time to appear to let people see Him.” No matter what you believe, I have a conclusion here. What is that conclusion? It’s that God doesn’t even want people to see His real person. Being hidden from humanity is something God does deliberately. In other words, it is God’s intent for people to not see His real person. This should be clear to all by now. If God has never shown His person to anyone, then do you think God’s person exists? (He exists.) Of course He does. The existence of God’s person is indisputable. But as for how big God’s person is or what He looks like, are these questions mankind should investigate? No. The answer is negative. If God’s person is not a topic we should be exploring, then what is a question we should look into? (God’s disposition.) (God’s work.) Before we begin communicating the official topic, however, let’s return to what we were discussing just then: Why has God never shown His person to mankind? Why does God intentionally hide His person from mankind? There is only one reason, and that is: Although the created man has been through thousands of years of God’s work, there isn’t a single person who knows God’s work, God’s disposition, and God’s essence. Such people, in God’s eyes, are in opposition to Him, and God would not show Himself to people who are hostile toward Him. This is the sole reason God has never shown mankind His person and why He deliberately shields His person from them. Are you now clear on the importance of knowing God’s disposition? Since the existence of God’s management, He has always been fully dedicated to carrying out His work. Despite veiling His person from them, He has always been by man’s side, doing work on them, expressing His disposition, guiding all of humanity with His essence, and doing His work on every single person through His might, His wisdom, and His authority, thus bringing the Age of Law, the Age of Grace, and now the Age of Kingdom into being. Though God conceals His person from man, His disposition, His being and possessions, and His will toward mankind, are unreservedly revealed to man for man to see and to experience. In other words, though human beings cannot see or touch God, the disposition and essence of God that humanity has been in contact with are absolutely expressions of God Himself. Isn’t that the truth? Regardless of in what method or from what angle God does His work, He always treats people to His true identity, doing what He is supposed to do and saying what He is supposed to say. No matter what position God speaks from—He could be standing in the third heaven, or standing in the flesh, or even as an ordinary person—He always speaks to man with all His heart and all His mind, without any deception or concealment. When He carries out His work, God expresses His word and His disposition, and expresses what He has and is, without any reservation whatsoever. He guides mankind with His life and His being and possessions. This is how man lived through the Age of Law—the cradle era of humanity—under the guidance of the unseeable and untouchable God. God became flesh for the first time after the Age of Law, an incarnation that lasted thirty-three and a half years. For a human being, is thirty-three and a half years a long time? (Not long.) Since the lifespan of a human being is usually much longer than thirty-something years, this is not a very long time for man. But for God incarnate, these thirty-three and a half years is very long. He became a person—an ordinary person who bore God’s work and commission. This meant that He had to take on work an ordinary person cannot handle, while also endure suffering that ordinary people cannot withstand. The amount of suffering endured by the Lord Jesus during the Age of Grace, from the start of His work to when He was nailed to the cross, may not be something the people of today could have witnessed in person, but can you at least appreciate a bit of it through the stories in the Bible? Irrespective of how many details there are in these recorded facts, all in all, God’s work during this period was full of hardship and suffering. For a corrupted human, thirty-three and a half years is not a long time; a little suffering is no big deal. But for the holy, unblemished God, who has to bear all of mankind’s sins, and eat, sleep, and live with sinners, this pain is too great. He is the Creator, the Master of all things and the Ruler of everything, yet when He came to the world He had to endure the oppression and cruelty of corrupted humans. In order to complete His work and rescue humanity from misery, He had to be condemned by man, and bear the sins of all mankind. The extent of the suffering He went through cannot possibly be fathomed or appreciated by ordinary people. What does this suffering represent? It represents God’s devotion to humankind. It stands for the humiliation He suffered and the price He paid for man’s salvation, to redeem their sins, and to complete this stage of His work. It also means man would be redeemed from the cross by God. This is a price paid in blood, in life, a price created beings cannot afford. It is because He has God’s essence and is equipped with what God has and is that He can bear this kind of suffering and this type of work. This is something no created being can do in His stead. This is the work of God during the Age of Grace and a revelation of His disposition. Does this reveal anything about what God has and is? Is it worth mankind getting to know? In that age, though man did not see God’s person, they received God’s sin offering and were redeemed from the cross by God. Mankind may not be unfamiliar with the work God did during the Age of Grace, but is anyone familiar with the disposition and will expressed by God during this period? Man merely knows about details of God’s work during different ages through various channels, or knows of stories related to God that took place at the same time God was carrying out His work. These details and stories are at most just some information or legends about God, and have nothing to do with God’s disposition and essence. So no matter how many stories people know about God, it doesn’t mean that they have a deep understanding and knowledge of God’s disposition or His essence. Like it was in the Age of Law, though people from the Age of Grace had experienced an up-close and intimate contact with God in the flesh, their knowledge of God’s disposition and God’s essence was virtually non-existent. In the Age of Kingdom, God became flesh again, in the same way He did the first time. During this period of work, God still unreservedly expresses His word, does the work He should be doing, and expresses what He has and is. At the same time, He continues to endure and tolerate man’s disobedience and ignorance. Doesn’t God continuously reveal His disposition and express His will during this period of work too? Therefore, from the creation of man until now, God’s disposition, His being and possessions, and His will, have always been open to every person. God has never deliberately hidden His essence, His disposition, or His will. It’s just that mankind doesn’t care about what God is doing, what His will is—that’s why man’s understanding of God is so pitiful. In other words, while God conceals His person, He is also standing by mankind at every moment, openly projecting His will, disposition, and essence at all times. In a sense, God’s person is also open to people, but due to man’s blindness and disobedience, they are always unable to see God’s appearance. So if that is the case, then shouldn’t understanding God’s disposition and God Himself be easy for everyone? That is a very difficult question to answer, right? You can say it’s easy, but while some people seek to know God, they can’t really get to know Him or get a clear understanding of Him—it’s always hazy and vague. But if you say it’s not easy, that’s not correct either. Having been the subject of God’s work for so long, everyone should, through their experiences, have had genuine dealings with God. They should at least have sensed God to some extent in their hearts or previously collided with God on a spiritual level, and so they should at least have some perceptive awareness of God’s disposition or gained some understanding of Him. From the time man began to follow God until now, mankind has received far too much, but due to all sorts of reasons—man’s poor caliber, ignorance, rebelliousness, and various intentions—mankind has also lost too much of it. Has God not already given mankind enough? Though God hides His person from humans, He supplies them with what He has and is, and even His life; humanity’s knowledge of God should not only be what it is now. That is why I think it is necessary to further fellowship with you about the topic of God’s work, God’s disposition, and God Himself. The purpose is so that the thousands of years of care and thought God has poured into man does not end up in vain, and so that mankind can genuinely understand and appreciate God’s will toward them. It is so people can move forward onto a new step in their knowledge of God. It will also return God to His rightful place in people’s hearts, that is, to do Him justice. To understand God’s disposition and God Himself you must begin with something very little. But from a little bit of what should you start? First of all, I have dug up some chapters of the Bible. The information below contains Bible verses, all of which are related to the topic of God’s work, God’s disposition, and God Himself. I specifically found these excerpts as reference materials to help you know God’s work, God’s disposition, and God Himself. Here I will share them with you to see what kind of disposition and essence God has revealed through His past work but people don’t know about. These chapters may be old, but the topic we are communicating is something new that people don’t have and have never heard of. Some of you might find it inconceivable—isn’t bringing up Adam and Eve and going back to Noah retracing the same steps again? No matter what you think, these chapters are very beneficial to the communication of this topic and can act as the teaching texts or first-hand materials for today’s fellowship. You will understand My intentions behind choosing these sections by the time I finish this fellowship. Those who have read the Bible before may have seen these few verses, but might not truly understand them. Let’s take a rough look first before going through them one by one in more detail. Adam and Eve are mankind’s ancestors. If we are to mention characters from the Bible, then we must start from the two of them. Next is Noah, mankind’s second ancestor. Do you see that? Who is the third character? (Abraham.) Do you all know of Abraham’s story? Some of you may know it, but for others it may not be very clear. Who is the fourth character? Who is mentioned in the story of the destruction of Sodom? (Lot.) But Lot isn’t referenced here. Who does it refer to? (Abraham.) The main thing mentioned in the story of Abraham is what Jehovah God had said. Do you see it? Who is the fifth character? (Job.) Doesn’t God mention a lot of Job’s story during this stage of His work? Then do you care very much about this story? If you do care very much, have you read Job’s story in the Bible carefully? Do you know what things Job said, what things he did? Those who have read it the most, how many times have you read it? Do you read it often? Sisters from Hong Kong, please tell us. (I read it a couple of times before when we were in the Age of Grace.) You haven’t read it again since? If so, then that’s a huge shame. Let Me tell you: During this stage of God’s work He mentioned Job many times, which is a reflection of His intentions. That He mentioned Job many times but did not arouse your attention is a testament to a fact: You have no interest in being people who are good and people who fear God and shun evil. This is because you are satisfied with just having a rough idea about the story of Job cited by God. You are content with merely understanding the story itself, but you don’t care about and don’t try to comprehend the details of who Job is as a person and the purpose behind why God refers to Job on multiple occasions. If you’re not even interested in such a person that God has praised, then what exactly are you paying attention to? If you don’t care about and don’t try to understand such an important person God has mentioned, then what does that say about your attitude toward God’s word? Isn’t that a deplorable thing? Doesn’t it prove that most of you don’t engage in practical things and are all not in pursuit of the truth? If you do pursue the truth, you will pay the requisite attention to the people that God approves of and the characters’ stories God has spoken of. Regardless of whether you can appreciate it or find it palpable, you will quickly go and read it, try to comprehend it, find ways to follow its example, and do what you can to the best of your ability. That is the behavior of someone who longs for the truth. But the fact is that most of you sitting here have never read the story of Job. This really tells something. Let’s return to the topic I was just discussing. This part of the scriptures dealing with the Old Testament Age of Law is mainly characters’ stories I had excerpted. These are stories familiar to the vast of majority of people who have read the Bible. These characters are very representative. Those who have read their stories will be able to feel that the work God has done on them and the words God has spoken to them are tangible and accessible to the people of today. When you read these stories and records from the Bible, you will be able to better understand how God went about His work and treated people at the time. But the purpose of Me finding these chapters today is not so you can try to grasp these stories and the characters in them. Rather, it is so you can, through these characters’ stories, see God’s deeds and His disposition, thus making it easier to get to know and understand God, to see the real side of Him, to halt your imagination, to stop your conceptions about Him, and to put an end to your faith amid vagueness. Trying to make sense of God’s disposition and to understand and get to know God Himself without a foundation can often make you feel helpless, powerless, and unsure of where to start. This is why I thought of the idea to use such a method and approach to let you better understand God, more authentically appreciate God’s will and get to know God’s disposition and God Himself, and to let you genuinely feel God’s existence and appreciate His will toward mankind. Isn’t this of benefit to you? Now what do you feel inside your hearts when you look at these stories and scriptures again? Do you think these scriptures I picked out are superfluous? I must emphasize again what I just told you: The aim of letting you read these characters’ stories is to help you apprehend how God does His work on people and His attitude toward mankind. Through what can you understand this? Through the work God has done in the past, and combined with the work God is doing right now to help you understand the various things about Him. These various things are real, and must be known and appreciated by those who wish to get to know God. We will now start with the story of Adam and Eve. First, let’s read the scriptures. Gen 2:18–20 And Jehovah God said, It is not good that the man should be alone; I will make him an help meet for him. And out of the ground Jehovah God formed every beast of the field, and every fowl of the air; and brought them to Adam to see what he would call them: and whatever Adam called every living creature, that was the name thereof. And Adam gave names to all cattle, and to the fowl of the air, and to every beast of the field; but for Adam there was not found an help meet for him. Gen 2:22–23 And the rib, which Jehovah God had taken from man, made He a woman, and brought her to the man. And Adam said, This is now bone of my bones, and flesh of my flesh: she shall be called Woman, because she was taken out of Man. Gen 3:20–21 And Adam called his wife’s name Eve; because she was the mother of all living. To Adam also and to his wife did Jehovah God make coats of skins, and clothed them. At this point, we should link our discussion to the present. If God could do these various little things for the humans He created at the very beginning, even some things that people would never dare think of or expect, then could God do such things for the people of today? Some people say, “Yes!” Why is that? Because God’s essence is not fake, His loveliness is not fake. Because God’s essence truly exists and is not something added on by others, and certainly not something that modifies with changes in time, place, and eras. God’s genuineness and loveliness can truly be brought out through doing something people think is unremarkable and insignificant, something so small that people don’t even think He would ever do. God is not pretentious. There is no exaggeration, disguise, pride, or arrogance in His disposition and essence. He never boasts, but instead loves, shows concern for, looks after, and leads the human beings He created with a faithfulness and sincerity. No matter how much of it people can appreciate, feel, or see, God is absolutely doing these things. Would knowing that God has such an essence affect people’s love for Him? Would it influence their fear of God? I hope when you understand the real side of God you will grow even closer to Him and be able to even more truly appreciate His love and care for mankind, while at the same time also give your heart to God and no longer have any suspicions or doubts toward Him. God is quietly doing everything for man, doing it all silently through His sincerity, faithfulness, and love. But He never has any apprehension or regret for all that He does, nor does He ever need anyone to repay Him in any way or have intentions of ever obtaining anything from mankind. The only purpose of everything He has ever done is so He can receive mankind’s true faith and love. Let’s wrap up the first topic here. Have these discussions helped you? How much of a help was it? (More understanding and knowledge of God’s love.) (This method of communication can help us in the future to better appreciate God’s word, to comprehend the emotions He had and the meanings behind the things He said when He said them, and to sense what He felt at the time.) Do any of you sense even more of God’s actual existence after reading these words? Do you feel God’s existence is no longer hollow or vague? Once you have this feeling, do you sense that God is right beside you? Perhaps the sensation is not obvious right now or you might not be able to feel it yet. But one day, when you truly have a deep appreciation and real knowledge of God’s disposition and essence in your heart, you will sense that God is right by your side—it’s just that you had never genuinely accepted God in your heart. This is real. What do you think of this method of communication? Could you keep up? Do you think this type of fellowship about the topic of God’s work and God’s disposition is very heavy? How did you feel? (Very good, excited.) What made you feel good? Why were you excited? (It was like returning to the Garden of Eden, back to being by God’s side.) “God’s disposition” is actually a very unfamiliar topic for everyone, because what you usually imagine, what you read in books or hear in fellowships, always make you feel like a blind man touching an elephant—you’re just feeling around with your hands, but you don’t actually see anything with your eyes. “Touch of the hand” simply cannot give you a basic outline of knowledge of God, let alone a clear concept. What it brings you is more imagination, so that you cannot precisely define what God’s disposition and essence are. Instead, these factors of uncertainty arising out of your imagination always seem to fill your heart with doubts. When you cannot be certain about something and yet you still try to understand it, in your heart there will always be contradictions and conflict, and sometimes it may even form into a disturbance, making you feel at a loss. Isn’t it a very agonizing thing when you want to seek God, get to know God, and see Him clearly, but always cannot seem to find the answers? Of course, these words are only targeted at those who desire to seek reverence of God and to satisfy God. For those people who simply don’t pay any attention to such things, this actually does not matter because they hope it is best that the realness and existence of God is a legend or fantasy, so they can do whatever they want, so they can be the biggest and the most important, so they can commit evil deeds without regard for consequences, so they won’t have to face punishment or bear any responsibility, so that even the things that God says about evildoers won’t apply to them. These people are not willing to comprehend God’s disposition, they are sick and tired of trying to know God and everything about Him. They would prefer that God does not exist. These people oppose God and they are the ones who will be eliminated. Next, we will discuss the story of Noah and how it relates to the topic of God’s work, God’s disposition, and God Himself. What do you see God doing to Noah in this part of the scriptures? Perhaps everyone sitting here knows something about it from reading the scriptures: God made Noah build the ark, then God used a flood to destroy the world. God let Noah construct the ark to save his family of eight, to allow them to survive, to become the ancestors for the next generation of mankind. Now let’s read the scriptures. Gen 6:9–14 These are the generations of Noah: Noah was a just man and perfect in his generations, and Noah walked with God. And Noah begat three sons, Shem, Ham, and Japheth. The earth also was corrupt before God, and the earth was filled with violence. And God looked on the earth, and, behold, it was corrupt; for all flesh had corrupted his way on the earth. And God said to Noah, The end of all flesh is come before Me; for the earth is filled with violence through them; and, behold, I will destroy them with the earth. Make you an ark of gopher wood; rooms shall you make in the ark, and shall pitch it within and without with pitch. Gen 6:18–22 But with you will I establish My covenant; and you shall come into the ark, you, and your sons, and your wife, and your sons’ wives with you. And of every living thing of all flesh, two of every sort shall you bring into the ark, to keep them alive with you; they shall be male and female. Of fowls after their kind, and of cattle after their kind, of every creeping thing of the earth after his kind, two of every sort shall come to you, to keep them alive. And take you to you of all food that is eaten, and you shall gather it to you; and it shall be for food for you, and for them. Thus did Noah; according to all that God commanded him, so did he. Do you now have a general understanding of who Noah is after reading these passages? What kind of person is Noah? The original text is: “Noah was a just man and perfect in his generations.” According to the understanding of modern people, what kind of a person is a just man back in that time? A just man should be a perfect man. Do you know whether this perfect man is perfect in the eyes of man or perfect in the eyes of God? Without a doubt, this perfect man is a perfect man in the eyes of God and not in the eyes of man. This is for certain! This is because man is blind and cannot see, and only God looks upon the entire earth and every single person, only God knows Noah is a perfect man. Therefore, God’s plan to destroy the world with a flood began from the moment He called upon Noah. In that age, God intended to call upon Noah to do a very important thing. Why did He have to do it? Because God had a plan in His heart at that moment. His plan was to destroy the world with a flood. Why destroy the world? It says here: “The earth also was corrupt before God, and the earth was filled with violence.” What do you see from the phrase “the earth was filled with violence”? It’s a phenomenon on earth when the world and its people are corrupt to the extreme, and that is: “the earth was filled with violence.” In today’s language, “filled with violence” means everything is in a mess. For man, it means in all walks of life there is no order, and things are quite chaotic and difficult to manage. In God’s eyes, it means the people of the world are too corrupt. Corrupt to what extent? Corrupt to the extent that God can no longer bear to look and can no longer be patient about it. Corrupt to the extent that God decides to destroy it. When God became determined to destroy the world, He planned to find someone to build an ark. Then God chose Noah to do this thing, which is to let Noah build an ark. Why choose Noah? In God’s eyes, Noah is a just man, and no matter what God instructs him to do he will do so accordingly. It means he will do whatever God tells him to do. God wanted to find someone like this to work with Him, to complete what He had entrusted, to complete His work on earth. Back then, was there another person apart from Noah who could complete such a task? Definitely no! Noah was the only candidate, the only person who could complete what God entrusted, and so God chose him. But was God’s scope and standards for saving people back then the same as it is now? The answer is there’s absolutely a difference! Why do I ask? Noah was the only just man in God’s eyes during that time, by implication his wife and his sons and daughters-in-law were all not just people, but God still kept these people because of Noah. God did not ask of them the way He asks of people now, and instead kept all eight members of Noah’s family alive. They received God’s blessing because of Noah’s righteousness. If there was no Noah, none of them could have completed what God had entrusted. Therefore, Noah was the only person who was supposed to survive the destruction of the world that time, and the others were just collateral beneficiaries. This shows that, in the era before God officially commenced His management work, the principles and standards with which He treated people and asked of them were relatively relaxed. To the people of today, the way God treated Noah’s family of eight appears to lack fairness. But compared to the volume of work He now does on people and the amount of His word He conveys, the treatment God gave to Noah’s family of eight was merely a work principle given the background of His work at the time. By comparison, did Noah’s family of eight receive more from God or do the people of today? That Noah was called upon is a simple fact, but the main point of what we are talking about—God’s disposition, His will, and His essence in this record—is not simple. To understand these several aspects of God, we must first understand the kind of person God desires to call upon, and through this, understand His disposition, will, and essence. This is crucial. So in God’s eyes, just what kind of a person is this man He calls upon? This must be a person who can listen to His words, who can follow His instructions. At the same time, this must also be a person with a sense of responsibility, someone who will carry out God’s word by treating it as the responsibility and duty they are bound to fulfill. Then does this person need to be someone who knows God? No. Back in that time, Noah had not heard too much of God’s teachings or experienced any of God’s work. Therefore, Noah’s knowledge of God was very little. Although it is recorded here that Noah walked with God, did he ever see God’s person? The answer is definitively no! Because in those days, only God’s messengers came to people. While they could represent God in saying and doing things, they were merely conveying God’s will and His intentions. God’s person was not revealed to man face-to-face. In this part of the scriptures, all we basically see is what this person Noah had to do and what God’s instructions to him were. So what was the essence expressed by God here? Everything God does is planned with precision. When He sees a thing or a situation occurring, there will be a standard to measure it in His eyes, and this standard will determine whether He commences a plan to deal with it or how to treat this thing and situation. He is not indifferent or has no feelings toward everything. It’s actually the complete opposite. There is a verse here that God said to Noah: “The end of all flesh is come before Me; for the earth is filled with violence through them; and, behold, I will destroy them with the earth.” In God’s words this time, did He say He was destroying only humans? No! God said He was going to destroy all living things of flesh. Why did God want destruction? There is another revelation of God’s disposition here: In God’s eyes, there is a limit to His patience toward man’s corruption, toward the filthiness, violence, and disobedience of all flesh. What is His limit? It’s as God said: “God looked on the earth, and, behold, it was corrupt; for all flesh had corrupted his way on the earth.” What does the phrase “for all flesh had corrupted his way on the earth” mean? It means any living thing, including those who followed God, those who called on the name of God, those who once sacrificed burnt offerings to God, those who verbally acknowledged God and even praised God—once their behavior was full of corruption and reached God’s eyes, He would have to destroy them. That was God’s limit. So to what extent did God remain patient to man and the corruption of all flesh? To the extent that all people, whether followers of God or unbelievers, were not walking the right path. To the extent that man was not just morally corrupt and full of evil, but where there was no one who believed in God’s existence, let alone anyone who believed that the world is ruled by God and that God can bring people light and the right path. To the extent that man despised God’s existence and did not permit God to exist. Once man’s corruption reached this point, God would no longer have patience. What would replace it instead? The coming of God’s wrath and God’s punishment. Was that not a partial revelation of God’s disposition? In this current age, is there still a just man in the eyes of God? Is there still a perfect man in the eyes of God? Is this age one in which the behavior of all flesh on earth is corrupt in the eyes of God? In this day and age, apart from those God wants to make complete, those who can follow God and accept His salvation, aren’t all people of flesh challenging the limit of God’s patience? Isn’t everything that happens beside you, what you see with your eyes and hear with your ears, and personally experience every day in this world full of violence? In God’s eyes, shouldn’t such a world, such an age, be ended? Though the background of the current age is completely different from the background of Noah’s time, the feelings and wrath God has toward man’s corruption remains exactly the same as it was back at that time. God is able to be patient because of His work, but in accordance with all kinds of circumstances and conditions, this world should have been destroyed long ago in God’s eyes. The situation is far and beyond what it was back when the world was destroyed by flood. But what’s the difference? This is also the thing that saddens God’s heart the most, and perhaps something none of you can appreciate. When He was destroying the world by flood, God could call upon Noah to build an ark and do some of the preparation work. God could call upon one man—Noah—to do these series of things for Him. But in this current age, God doesn’t have anybody to call upon. Why is that? Every single person sitting here probably understands and knows the reason very well. Do you need Me to spell it out? Saying it out loud might make you lose face and get everybody upset. Some people might say: “Although we are not just people and we are not perfect people in the eyes of God, if God instructs us to do something, we will still be capable of doing it. Before, when He said a catastrophic disaster was coming, we started preparing food and items that would be needed in a disaster. Wasn’t all of this done in accordance with God’s demands? Weren’t we really cooperating with God’s work? Can’t these things we did be compared to what Noah did? Isn’t doing what we did true obedience? Weren’t we following God’s instructions? Didn’t we do what God said because we have faith in God’s words? Then why is God still sad? Why does God say He has no one to call upon?” Is there any difference between your actions and those of Noah’s? What’s the difference? (Preparing food today for the disaster was our own intention.) (Our actions cannot reach “just,” whereas Noah is a just man in God’s eyes.) What you said isn’t too far off. What Noah did is materially different to what people are doing now. When Noah did as God instructed he didn’t know what God’s intentions were. He didn’t know what God wanted to accomplish. God had only given him a command, instructed him to do something, but without much explanation, and he went ahead and did it. He didn’t try to figure out God’s intentions in private, nor did he resist God or have a double heart. He just went and did it accordingly with a pure and simple heart. Whatever God let him do he did, and obeying and listening to God’s word were his conviction for doing things. That was how straightforwardly and simply he dealt with what God entrusted. His essence—the essence of his actions was obedience, not second-guessing, not resisting, and moreover, not thinking of his own personal interests and his gains and losses. Further, when God said He would destroy the world with a flood, he did not ask when or try to get to the bottom of it, and he certainly did not ask God just how He was going to destroy the world. He simply did as God instructed. However God wanted it to be made and made with what, he did exactly as God asked and also commenced action immediately thereafter. He acted according to God’s instructions with an attitude of wanting to satisfy God. Was he doing it to help himself avoid the disaster? No. Did he ask God how much longer before the world would be destroyed? He didn’t. Did he ask God or did he know how long it would take to build the ark? He didn’t know that either. He simply just obeyed, listened, and did it accordingly. The people of now are not the same: As soon as a bit of information is leaked through God’s word, as soon as people sense a sign of disturbance or trouble, they will immediately spring into action, no matter what and regardless of the price, to prepare what they will eat, drink, and use in the aftermath, even planning their escape routes when the disaster strikes. Even more interesting is that, at this key moment, human brains are very “useful.” Under circumstances where God has not given any instructions, man can plan for everything very appropriately. You could use the word “perfect” to describe it. As for what God says, what God’s intentions are, or what God wants, no one cares and no one tries to appreciate it. Isn’t that the biggest difference between the people of today and Noah? In this record of Noah’s story, do you see a part of God’s disposition? There is a limit to God’s patience toward man’s corruption, filthiness, and violence. When He reaches that limit, He will no longer be patient and will instead begin His new management and new plan, start to do what He has to do, reveal His deeds and the other side of His disposition. This action of His is not to demonstrate that He must never be offended by man or that He is full of authority and wrath, and it is not to show that He can destroy humanity. It is that His disposition and His holy essence can no longer allow, no longer have the patience for this kind of humanity to live before Him, to live under His dominion. That is to say, when all of mankind is against Him, when there is no one He can save in the whole earth, He will no longer have patience for such a humanity, and will, without any misgiving, carry out His plan—to destroy this kind of humanity. Such an act by God is determined by His disposition. This is a necessary consequence, and a consequence that every created being under God’s dominion must bear. Doesn’t this show that in this current age, God cannot wait to complete His plan and save the people He wants to save? Under these circumstances, what does God care about the most? Not how those who don’t follow Him at all or those who oppose Him anyway treat Him or resist Him, or how mankind is slandering Him. He only cares about whether those who follow Him, the objects of His salvation in His management plan, have been made complete by Him, whether they have achieved His satisfaction. As for the people other than those who follow Him, He merely occasionally provides a bit of punishment to express His wrath. For example: tsunamis, earthquakes, volcano eruptions, and so forth. At the same time, He is also strongly protecting and looking after those who follow Him and are about to be saved by Him. God’s disposition is this: On the one hand, He can give the people He intends to make complete extreme patience and tolerance, and wait for them for as long as He possibly can; on the other hand, God strongly hates and loathes the Satan-type of people who don’t follow Him and oppose Him. Although He doesn’t care whether these Satan-types follow Him or worship Him, He still detests them while having patience for them in His heart, and as He determines the ending of these Satan-types, He is also waiting for the arrival of the steps of His management plan. Let’s look at the next passage. Gen 9:1–6 And God blessed Noah and his sons, and said to them, Be fruitful, and multiply, and replenish the earth. And the fear of you and the dread of you shall be on every beast of the earth, and on every fowl of the air, on all that moves on the earth, and on all the fishes of the sea; into your hand are they delivered. Every moving thing that lives shall be meat for you; even as the green herb have I given you all things. But flesh with the life thereof, which is the blood thereof, shall you not eat. And surely your blood of your lives will I require; at the hand of every beast will I require it, and at the hand of man; at the hand of every man’s brother will I require the life of man. Whoever sheds man’s blood, by man shall his blood be shed: for in the image of God made He man. What do you see from this passage? Why did I choose these verses? Why didn’t I take an excerpt of Noah and his family’s life on the ark? Because that information doesn’t have much connection to the topic we’re communicating today. What we are paying attention to is God’s disposition. If you want to know about those details, then you can pick up the Bible to have a read yourselves. We won’t talk about it here. The main thing we are talking about today is about how to know God’s actions. After Noah accepted God’s instructions and built the ark and lived through the days God used a flood to destroy the world, his whole family of eight survived. Apart from Noah’s family of eight, all of mankind was destroyed, and all living things on earth were destroyed. To Noah, God gave him blessings, and said some things to him and his sons. These things were what God was bestowing upon him and also God’s blessing to him. This is the blessing and promise God gives to someone who can listen to Him and accept His instructions, and also the way God rewards people. That is to say, regardless of whether Noah was a perfect man or a just man in God’s eyes, and regardless of how much he knew about God, in short, Noah and his three sons all listened to God’s words, coordinated with God’s work, and did what they were supposed to do in accordance with God’s instructions. As a result, they helped God retain humans and various kinds of living things after the destruction of the world by flood, making a great contribution to the next step of God’s management plan. Because of everything he had done, God blessed him. Maybe for the people of today, what Noah did wasn’t even worth mentioning. Some might even think: Noah didn’t do anything; God had made up His mind to keep him, so he was definitely going to be kept. His survival is not to his credit. This is what God wanted to make happen, because man is passive. But that’s not what God was thinking. To God, no matter whether a person is great or insignificant, as long as they can listen to Him, obey His instructions and what He entrusts, and can cooperate with His work, His will, and His plan, so that His will and His plan can be accomplished smoothly, then that conduct is worthy of His remembrance and worthy of receiving His blessing. God treasures such people, and He cherishes their actions and their love and affection for Him. This is God’s attitude. So why did God bless Noah? Because this is how God treats such actions and obedience of man. Next, let’s take a look at this part of the scriptures about how God made the rainbow as a symbol of His covenant with man. God’s thoughts are what people should be concerned about and what they should be trying to get to know the most. This is because God’s thoughts are closely related to man’s understanding of God, and man’s understanding of God is an indispensable link to man’s entry into life. So what was God thinking at the time when these things happened? What part of God’s disposition should we understand from here? God had despised man because man was in enmity to Him, but in His heart, His care, concern, and mercy for humanity remained unchanged. Even when He destroyed mankind, His heart remained unchanged. When humanity was full of corruption and disobedient toward God to a certain extent, God had to, because of His disposition and His essence, and in accordance with His principles, destroy this humanity. But because of God’s essence, He still pitied mankind, and even wanted to use various ways to redeem mankind so they could continue to live. Instead, man opposed God, continued to disobey God, and refused to accept God’s salvation, that is, refused to accept His good intentions. No matter how God called to them, reminded them, supplied them, helped them, or tolerated them, man did not understand or appreciate it, nor did they pay attention. In His pain, God still did not forget to give man His maximum tolerance, waiting for man to turn around. After He reached His limit, He did what He had to do without any hesitation. In other words, there was a specific time period and process from the moment God planned to destroy mankind to the official start of His work in destroying mankind. This process existed for the purpose of enabling man to turn around, and was the last chance God gave to man. So what did God do in this period before destroying mankind? God did a significant amount of reminding and exhorting work. No matter how much pain and sorrow God’s heart was in, He continued to exercise His care, concern, and abundant mercy on humanity. What do we see from this? Undoubtedly, we see that God’s love for mankind is real and not just something He is paying lip service to. It is actual, tangible and appreciable, not fake, adulterated, deceitful or pretentious. God never uses any deception or creates fake images to make people see that He is lovable. He never uses false testimony to let people see His loveliness, or to flaunt His loveliness and holiness. Aren’t these aspects of God’s disposition worthy of man’s love? Aren’t they worth worshiping? Aren’t they worth cherishing? At this point, I want to ask you: After hearing these words, do you think God’s greatness is merely words on a sheet of paper? Is God’s loveliness just empty words? No! Certainly not! God’s supremacy, greatness, holiness, tolerance, love, and so forth—all of these various aspects of God’s disposition and essence are put into effect every time He does His work, embodied in His will toward man, and also fulfilled and reflected on every person. Regardless of whether you have felt it before, God is caring for every person in every possible way, using His sincere heart, wisdom, and various methods to warm each person’s heart, and awaken each person’s spirit. This is an indisputable fact. No matter how many people are sitting here, each person has had different experiences of and feelings toward God’s tolerance, patience, and loveliness. These experiences of God and these feelings or acknowledgments of Him—in short, all of these positive things are from God. So by integrating everyone’s experiences and knowledge of God and combining them with our readings of these Bible passages today, do you now have a more real and proper understanding of God? After reading this story and understanding some of God’s disposition revealed through this event, what kind of brand new appreciation do you have of God? Has it given you a deeper understanding of God and His heart? Do you feel different now when you look at Noah’s story again? According to your views, would it have been unnecessary to communicate these Bible verses? Now that we have communicated them, do you think it was unnecessary? It was necessary, right? Even though what we read is a story, it is a true record of the work God had once done. My aim was not to let you comprehend the details of these stories or this character, nor was it so you can go study this character, and certainly not so you will go back and study the Bible again. Do you understand? So have these stories helped your knowledge of God? What has this story added to your understanding of God? Tell us, brothers and sisters from Hong Kong. (We saw that God’s love is something none of us corrupt humans possess.) Tell us, brothers and sisters from South Korea. (God’s love for man is real. God’s love for man carries His disposition and carries His greatness, holiness, supremacy, and His tolerance. It is worth us trying to gain a deeper understanding of it.) (Through the communication just then, on the one hand, I can see God’s righteous and holy disposition, and I can also see the concern God has for mankind, God’s mercy toward mankind, and that everything God does and every thought and idea He has all reveals His love and concern for humanity.) (My understanding in the past was that God used a flood to destroy the world because mankind had become evil to a certain extent, and it was as though God destroyed this humanity because He loathed them. It was only after God talked about Noah’s story today and said that God’s heart was bleeding that I realize that God was actually reluctant to let go of this humanity. It was only because mankind was too disobedient that God had no choice but to destroy them. In fact, God’s heart at this time was very sad. From this I can see in God’s disposition His care and concern for mankind. This is something I didn’t know before.) Very good! You can go next. (I was very affected after listening. I’ve read the Bible in the past, but I’ve never had an experience like today where God directly dissects these things so we can get to know Him. For God to take us along like this to get to see the Bible let me know that God’s essence before man’s corruption was love and care for mankind. From the time man became corrupted to the last days of now, even though God carries a righteous disposition, His love and care remains unchanged. This shows that the essence of God’s love, from creation until now, regardless of whether man is corrupted, never changes.) (Today I saw that God’s essence will not alter due to a change in time or the location of His work. I also saw that, no matter if God is creating the world or destroying it after man becomes corrupted, everything He does has meaning and contains His disposition. I therefore saw that God’s love is infinite and immeasurable, and I also saw, like what the other brothers and sisters mentioned, God’s care and mercy toward mankind when He destroyed the world.) (These were things I indeed did not know about before. After listening today, I feel that God is truly credible, truly trustworthy, worth believing in, and that He indeed exists. I can genuinely appreciate in my heart that God’s disposition and love is really this concrete. This is a feeling I have after listening today.) Excellent! It seems you have all taken what you’ve heard to heart. Have you noticed a particular fact from all Bible verses, including all of the Bible stories we communicated today? Has God ever used His own language to express His own thoughts or explain His love and care for humanity? Is there a record of Him using plain language to state how much He is concerned for or loves mankind? No! Isn’t that right? There are so many among you who have read the Bible or books other than the Bible. Have any of you seen such words? The answer is definitely no! That is, in the records of the Bible, including God’s words or the documenting of His work, God has never in any era or any period used His own methods to describe His feelings or express His love and care for mankind, nor has God ever used speech or any actions to convey His feelings and emotions—isn’t that a fact? Why do I say that? Why do I have to mention this? It is because this also contains God’s loveliness and His disposition. Why do I say these things here? What do you see from the things I have said? There is something in God’s essence and disposition that is easiest to overlook, something that is only possessed by God and not by any person, including those others think of as great people, good people, or the God of their imagination. What is this thing? It is God’s selflessness. When speaking of selflessness, you might think you are also very selfless, because when it comes to your children, you never bargain with them and you are generous toward them, or you think you are also very selfless when it comes to your parents. No matter what you think, at least you have a concept of the word “selfless” and think of it as a positive word, and that being a selfless person is very noble. When you are selfless, you think you are great. But there is no one who can see God’s selflessness among all things, among people, events, and objects, and through God’s work. Why is that the case? Because man is too selfish! Why do I say that? Mankind lives in a material world. You may follow God, but you never see or appreciate how God supplies you, loves you, and shows concern for you. So what do you see? You see your blood relatives who love you or dote on you. You see the things that are beneficial to your flesh, you care about the people and things you love. This is man’s so-called selflessness. Such “selfless” people, however, are never concerned about the God that gives life to them. In contrast to God, man’s selflessness becomes selfish and despicable. The selflessness man believes in is empty and unrealistic, adulterated, incompatible with God, and unrelated to God. Man’s selflessness is for himself, while God’s selflessness is a true revelation of His essence. It is precisely due to God’s selflessness that man receives a steady stream of supply from Him. You might not be too deeply affected by this topic I am talking about today and are merely nodding in approval, but when you try to appreciate God’s heart in your heart, you will unwittingly discover: Among all the people, matters, and things you can sense in this world, only God’s selflessness is real and concrete, because only God’s love for you is unconditional and unblemished. Apart from God, anyone else’s so-called unselfishness is all fake, superficial, disingenuous; it has a purpose, certain intentions, carries a tradeoff, and cannot stand to be tested. You could even say that it is filthy, contemptible. Do you agree? I know you are very unfamiliar with these topics and need a bit of time for them to sink in before you can truly understand. The more unfamiliar you are with these issues and topics, the more it proves that these topics are missing in your heart. If I never mention these topics, would any among you know a bit about them? I believe you would never get to know them. That is for certain. No matter how much you can comprehend or understand, in short, these topics I speak of are what people are most lacking and what they should know about the most. These topics are very important for everyone—they are precious and they are life, and they are things you must be possessed with for the road ahead. Without these words as guidance, without your understanding of God’s disposition and essence, you will always carry a question mark when it comes to God. How can you believe in God properly if you don’t even understand Him? You know nothing of God’s emotions, His will, His state of mind, what He’s thinking, what makes Him sad, and what makes Him happy, so how can you be considerate toward God’s heart? Whenever God is upset, He faces a mankind that doesn’t pay any attention to Him at all, a mankind that follows Him and claims to love Him but completely neglects His feelings. How can His heart not hurt? In God’s management work, He sincerely carries out His work on and speaks to each person, and faces them without reservation or concealment, but conversely, every person who follows Him is closed off toward Him, and no one is willing to actively get closer to Him, understand His heart, or pay attention to His feelings. Even those who want to become God’s intimates don’t want to get close to Him, to be considerate toward His heart, or try to understand Him. When God is joyful and happy, there is no one to share His happiness. When God is misunderstood by people, there is no one to comfort His wounded heart. When His heart is hurting, there is not a single person willing to listen to Him confide in them. Through these thousands of years of God’s management work, there is no one who understands God’s emotions, nor anyone who comprehends or appreciates them, let alone anyone who could stand alongside God to share in His joys and sorrows. God is lonely. He is lonely! God is lonely not just because corrupted mankind opposes Him, but more because those who pursue to be spiritual, those who seek to know God and understand Him, and even those who are willing to devote their entire lives to Him, also don’t know His thoughts and don’t understand His disposition and His emotions. At the end of Noah’s story, we see that God used an unusual method to express His feelings at the time. This method is very special, and that’s to make a covenant with man. It is a method that declares the end to God’s use of a flood to destroy the world. From the outside, making a covenant seems like a very ordinary thing. It is nothing more than using words to bind both parties from infringing acts, so as to help achieve the purpose of protecting the interests of both sides. In form, it is a very ordinary thing, but from the motivations behind and meaning of God doing this thing, it is a true revelation of God’s disposition and state of mind. If you just put these words aside and ignore them, if I never tell you the truth of things, then humanity will really never know God’s thinking. Perhaps in your imagination God is smiling when He makes this covenant, or perhaps His expression is serious, but regardless of what the most common type of expression God has in people’s imaginations, no one can see God’s heart or His pain, let alone His loneliness. No one can make God trust them or be worthy of God’s trust, or be someone He can express His thoughts or confide His pain to. That is why God had no choice but to do such a thing. On the surface, God did an easy thing to farewell the previous humanity, settling the past and drawing a perfect conclusion to His destruction of the world by flood. However, God had buried the pain from this moment deep inside His heart. At a time when God did not have anyone to confide in, He made a covenant with mankind, telling them that He would not destroy the world by flood again. When the rainbow appears it is to remind people that such a thing had once happened, to warn them not to do evil things. Even in such a painful state, God did not forget about mankind and still showed so much concern for them. Is this not God’s love and unselfishness? But what do people think of when they are suffering? Isn’t this the time they need God the most? At times like this, people always drag God over so God can comfort them. No matter when, God will never let people down, and He will always let people walk out of their predicaments and live in the light. Although God so supplies mankind, in man’s heart God is none other than just a reassurance pill, a comfort tonic. When God is suffering, when His heart is wounded, having a created being or any person keep Him company or comfort Him is undoubtedly just an extravagant wish for God. Man never pays attention to God’s feelings, so God never asks nor expects there to be someone who can comfort Him. He merely uses His own methods to express His mood. People don’t think it is a big deal for God to go through some suffering, but only when you truly try to understand God, when you can genuinely appreciate God’s earnest intentions in everything He does, can you feel God’s greatness and His selflessness. Even though God made a covenant with mankind using the rainbow, He never told anyone why He did this, why He established this covenant, meaning He never told anybody His real thoughts. This is because there is no one who can comprehend the depth of the love God has for the mankind He created with His own hands, and there is also no one who can appreciate just how much pain His heart suffered when He destroyed humanity. Therefore, even if He tells people how He feels, they cannot undertake this trust. Despite being in pain, He still goes on with the next step of His work. God always gives His best side and the best things to mankind while quietly bearing all the suffering Himself. God never openly discloses these sufferings. Instead, He endures them and waits in silence. God’s endurance is not cold, numb, or helpless, nor is it a sign of weakness. It is that God’s love and essence has always been selfless. This is a natural revelation of His essence and disposition, and a genuine embodiment of God’s identity as the true Creator. Having said that, some people might misinterpret what I mean. Was describing God’s feelings in such detail, with so much sensationalism, intended to make people feel sorry for God? Was there such an intention? (No!) The only purpose of Me saying these things is to make you know God better, to understand every part of Him, understand His emotions, to appreciate that God’s essence and disposition are, concretely and bit by bit, expressed through His work, as opposed to depicted through man’s empty words, their letters and doctrines, or their imaginations. That is to say, God and God’s essence actually exist—they are not paintings, not imagined, not constructed by man, and certainly not fabricated by them. Do you recognize this now? If you do recognize it, then My words today have achieved their goal. We discussed three topics today. I trust everyone has gained a lot from the fellowship about these three topics. I can say definitively that, through these three topics, the thoughts of God I described or the disposition and essence of God I mentioned have flipped people’s ideas and understanding of God, even overturned everyone’s belief toward God, and moreover, overturned the image of the God admired by everyone in their hearts. No matter what, I hope what you’ve learned about God’s disposition in these three sections of the Bible is beneficial to you, and I hope after you return you will try to ponder it more. Today’s meeting concludes here. Goodbye!